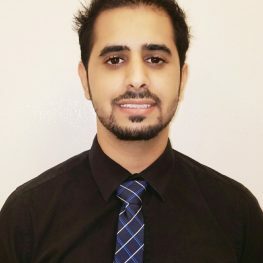 Ghassan Jibawi is a Pre-dental student who got his Associate in General Studies with High Honors from Wilbur Wright College, Chicago, IL. He continued his education at the University of Illinois at Chicago where he graduated with B.A in Chemistry and Minored in Mathematics. Currently, Jibawi assists Dr. Rosangela Lavagnolli at the Ultimate Comprehensive Dentistry Clinic. Jibawi’s interest in the field of Cancer research lead him to volunteer for the 43rd ISOBM annual conference held during September, 2016 in Chicago, IL where he successfully lead the IT team of the organizing committee and worked along with established academics such as Dr.Ferid Murad, Nobel Prize winner and Dr.Robert Winn, Director of UI Health. Additionally, he is a board member of Oncomarks.org and is actively responsible for developing the IT department. Ghassan is determined to become a dentist and ultimately concentrate his focus towards a position in the field of oral cancer research.